Marking and laying out dovetails to cut by hand can be a difficult and frustrating task. The Fulton Dovetail Marking Tool simplifies the process and allows you to be more precise. 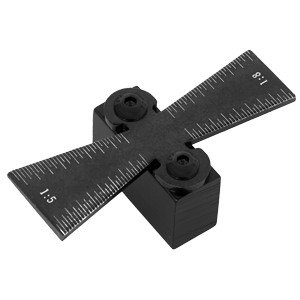 This tool is ideal for marking dovetails up to 1" long. The tool features two different ratios of 1:5 for softwoods and 1:8 for hardwoods.